From our state of the art training facility we are offering courses run by our Chef Director and 3AA Rosette Head Chef Chris Holland of the Alderley Edge Hotel. Chris will be offering sous vide training courses, where you can come and learn and understand more about this important cooking technique. We are trying to provide an aftercare system which prides itself on making the grey areas about sous vide a little more transparent. On top of our training courses sousvidetools.com can offer bespoke support with the development side of your menus, the training of staff and food safety (HACCP) requirements. 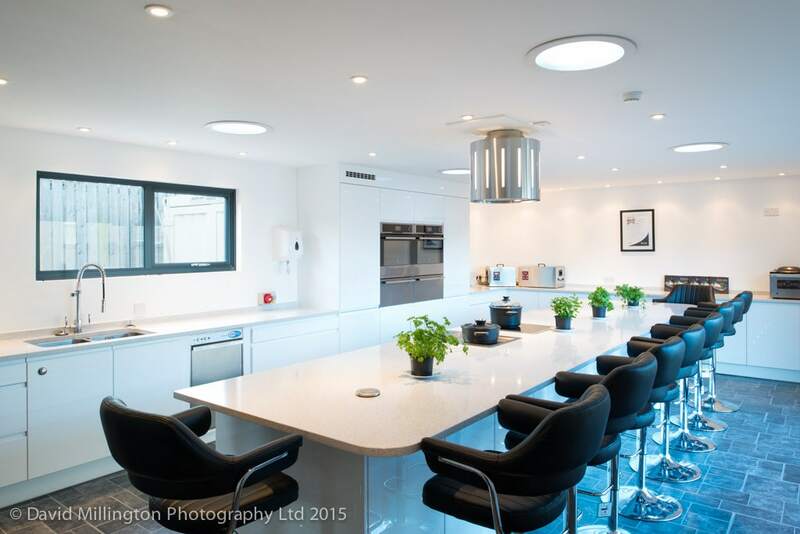 We run our sous vide training courses at our state of the art training facility. Our courses are aimed at chefs who want to take sous vide cooking to that next level and aspiring foodies who either want to introduce sous vide at home or learn more. For more information and/or to book your place please see below. During the training you will learn the origin and evolution of sous-vide; the why-and-how it made its way into the kitchens of the world’s top Chefs. We ask you to arrive at 10am for a 10:30am start with breakfast. The day then concludes around 4:30pm. 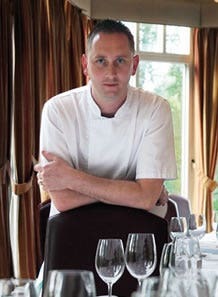 Our Chef Director Chris Holland — head chef of The Alderley Restaurant at the prestigious Alderley Edge Hotel near Macclesfield — began his love affair with Cheshire when he left his native Lancashire for a commis chef apprenticeship at Wilmslow's Stanneylands Hotel. But it was at Mere Country Club, near Knutsford, that he began to learn the precision of fine dining that has been a trademark since moving to The Alderley Restaurant in 1996 and becoming head chef seven years ago. You can read more about Chris Holland, his approach and what he says about us in our Testimonials section. Alternatively you can learn more sousvidetools.com, our methods and unique customer service & support in our About Us section. During the training you will learn the origin and evolution of sous-vide; the why-and-how it made its way into the kitchens of the world's top Chefs. You will learn the reason for which there is a right temperature to cook each different product and how to put it into practice using your own recipes. You will learn to master the times and temperatures to control the colour, tenderness and flavour of your product. Part of the training is devoted to learning about the right equipment: How to select, utilise and maintain it. There is no single way to cook sous-vide and because scientists love experimenting as much as Chefs, most of the time is dedicated to hands-on training. Under the direction of our development chef Chris Holland, you can experiment and taste to discover the many possibilities sous-vide has to offer. Over the full day course you will see these techniques as they are applied to meat, poultry, fish, seafood, vegetables, fruits, sauces, herbs and aromatics. Lastly, the focuses will be on microbiology, bacteria, good food safety and shelf-life in order to achieve the best quality and the safest products. The class is mix of lecture and hands on activities which leads to a very informative and fulfilling experience. Please Note: Our training days take place at either our state of the art training facility in Lancaster (SousVideTools.com, Central Barn, Hornby Road, Lancaster, LA2 9JX) or W2 London. (W2, 39 Connaught St, London W2 2AZ) We ask you to arrive at 10am for a 10:30am start with breakfast. The day then concludes around 4:30pm.